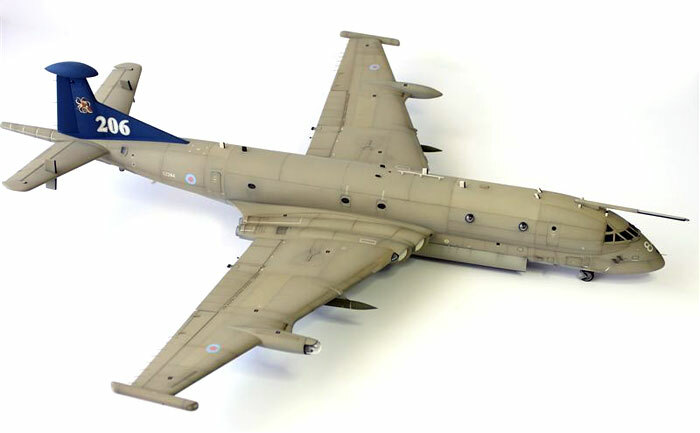 Here is my recently completed Airfix1/72 scale Nimrod, completed in the Hemp/Light Aircraft Grey scheme. 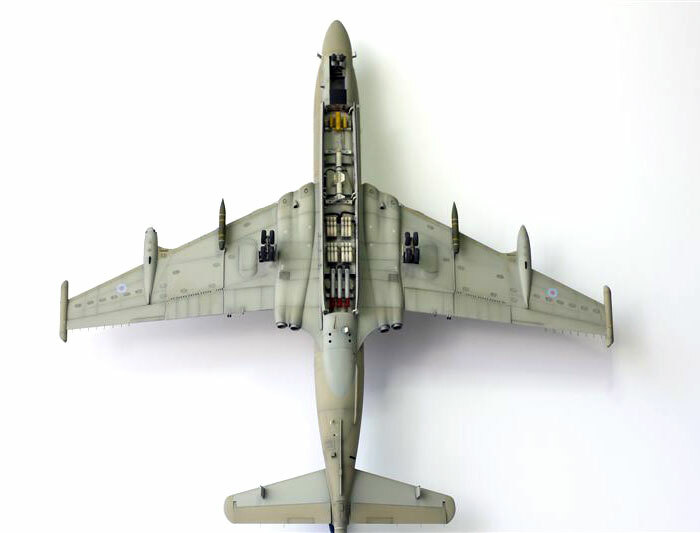 The model depicts XZ284 of No.206 Sqn. based at RAF Kinloss, in 80th Anniversary (1997) markings. The decals used were from Xtradecal, set X72081, for the anniversary scheme, and Model Alliance set MAS-729044 for the stencil markings. 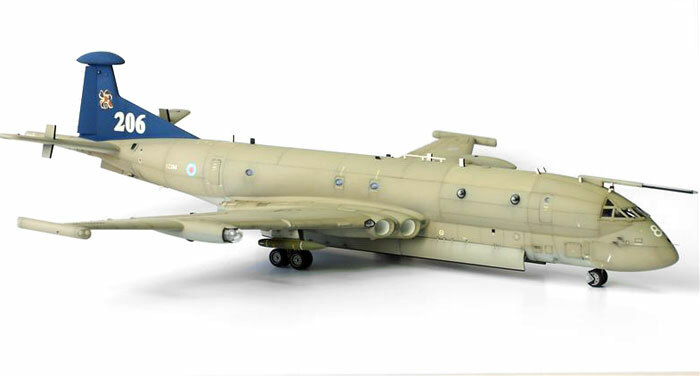 Eduard set 72 505, Nimrod exterior and surface panels, was also used. I also had A2ZEE Nimrod Weapons Bay set, but found the detail a bit soft, so I used this as a template and made my own interior from plastic card. Clear reference photos of this area were hard to find, so it is all a bit speculative! Overall, this was an enjoyable build. The only problem now is where to keep the very large finished model - Fluff the cat has already become acquainted with the model, hence the missing fuselage to tail aerial wires. Perhaps it will have to hang from the ceiling!